No two sunsets are ever the same, but some are just incredible! The light changes so quickly at the end of day, look away and you'll miss something amazing! 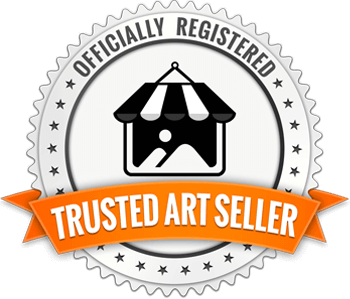 This miniature oil painting is 5 inches square and comes ready to hang. 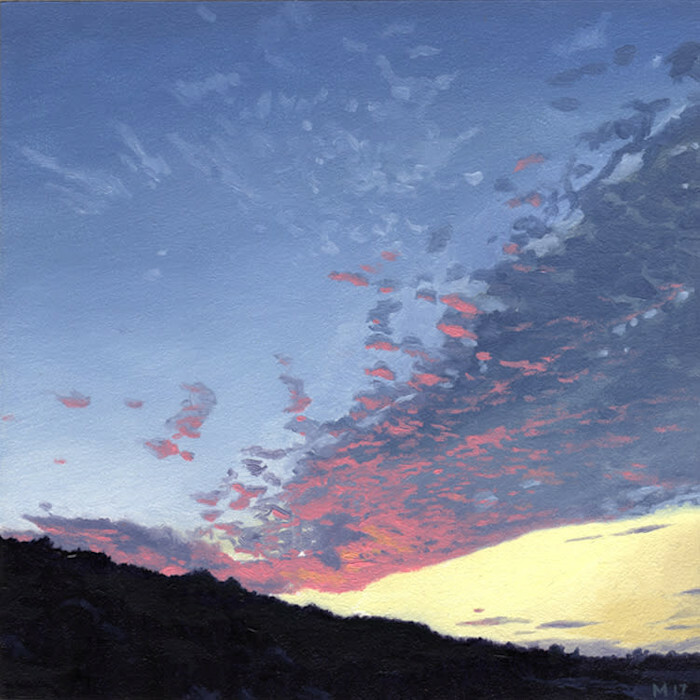 The first in this series of small works, “Wing” depicts the last rays of light illuminating a sweeping cloud after the sun has already taken leave of the day. The first in this series of small works, “Wing” depicts the last rays of light illuminating a sweeping cloud after the sun has already taken leave of the day. Witnessing the subtly changing tones and textures of this vista was an unreal experience. Watching the hues deepen and fade with the warmth of the day was bittersweet: staggering beauty that would be gone in moments, leaving only my camera, memory, and subsequent painting to attempt a weak facsimile.